Professional Wrestling is not directly a martial art I think, since many of the moves are not really useful in a real fight and more there for the visual aspects and to entertain the crowd during a match. The most of the wrestling action looks damn brutal however and sometimes fun as well. It’s no wonder that we have many fighting game characters using Professional Wrestling as if it would be a real fighting style. 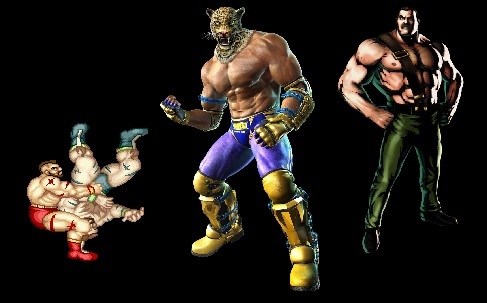 The most popular ones might be Zangief from Street Fighter and King from the Tekken series. Also known is Mike Haggar from the Final Fight games but there are many more not so popular guys in video games. This list might be sorted after different Professional Wrestling styles later including the Lucha Libre style as example.